A recollection of all past changes, where we stand now, & where will travel insurance requirements for Ecuador be in the near future. You may have heard a lot of talk of Ecuador and requirements for travel insurance. This is something that has been discussed here for a long time: whether or not travel insurance should be mandatory for entry. Previously, the Ecuadorian government was planning on making travel insurance a requirement for entering mainland Ecuador. That has since been cancelled and you will not need to demonstrate proof of travel insurance to enter Ecuador. 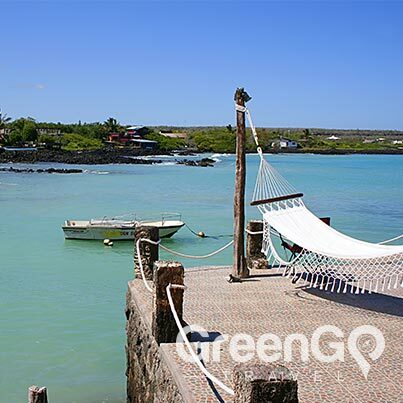 Entering the Galapagos, however, is another story. The latest news (as of me writing this post) is that travel insurance will at some point be a requirement, but there is no information regarding when this will be enforced. This is part of a very long series of enforcement dates that have been pushed back. It was supposed to be going into effect as of November 1st, but now we basically just don’t know when this will be mandatory. According to El Universo, a newspaper headquartered in Guayaquil, this is apparently due to the fact that it’s still not determined what kind of travel insurance will be accepted. They are currently reviewing what’s needed and who will be able to provide this. It may be that we’ll need to work off of a defined list of which agencies are accepted for coverage. 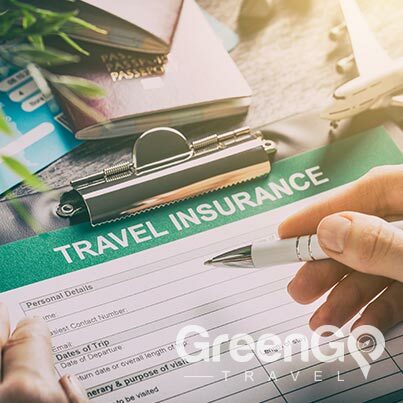 To be honest, the vast majority of travelers here will have travel insurance, and it’s always a really good idea to be properly covered. The point that you need to remember here is that it’s important to pay attention to any changes in requirements. It’s entirely possible that not all travel insurance agencies will be approved or meet the standards for a trip to the Galapagos. You might also not be allowed in until you show proof of coverage. A transit control card (tarjeta de control de transito in Spanish, or TCT) is a document that’s designed to control immigration to the islands. It’s a requirement for tourists, as well. This will prevent people from staying illegally on the islands to take advantage of opportunities to set up shop for tourism. As far as tourists are concerned, this just ensures that no one stays past their 90 day maximum on the islands. You can pick up this document at the airport in the Galapagos, where you’ll also pay the park fees. Currently it’s $100 for adults and $50 for kids. Ecuadorians pay $6 for adults and $3 for kids. You can only pay with cash, and there’s also an additional fee for the TCT. These fees are used primarily to cover conservation expenses. Note: there are also provisions to do this online. If your Spanish is decent, you can see how to do that here. Ultimately, check with your travel agent to see what’s advised. Basically this just means that you can’t get in on a one-way flight. This is one more way of making sure that people don’t overstay their welcome. All you need to do is show your return ticket, whether by plane or boat. You can’t go camping by yourself in the Galapagos. Actually, there are some pretty tightly controlled areas where you are and are not allowed. This is all for the sake of conservation, making sure that these islands can sustainably handle the amount of people that come to visit. The most common way to demonstrate this is to simply have a printout of the booking receipt. You could also show an itinerary if you’re going with a travel group. For those cruising the Galapagos, you will need to provide name and details for the cruise you will be boarding. So that’s the current information that we’re working with right now. One thing that you should understand about traveling in Ecuador (and many other countries) is that this is a developing country. In other words, the laws and regulations are developing. Sometimes, these changes happen remarkably fast, and other times the enforcement dates get pushed back for years (just like what’s happening now). Regardless of whether this becomes enforced in the future or not, it’s good to understand why this is such a big concern here. The Galapagos Islands need a lot of protection. It’s a totally worthwhile place to visit, and eco-tourism is actually good for this environment. When tourists don’t have travel insurance, the local hospitals will still take care of their needs. This gets really tricky, though, when hundreds of thousands of people are visiting every year. It’s really challenging for a small community to foot the medical bills. Basically, by making sure that you’re covered for anything unexpected, you’ll make sure that the communities in the Galapagos get to put their funds towards conservation instead of hospital bills. All of this really highlights a major advantage of booking through a local travel company. Ecuadorians read about these updates in the daily newspaper; overseas agencies hear about them only well after they’ve been translated into English. If you want to make sure that your vacation happens without a hitch, it’s of huge benefit to book with someone that will notify you of any changes immediately. Just to illustrate this: I live in Ecuador, but I didn’t hear about this until an Ecuadorian friend mentioned it. I did some searching online in English and didn’t find anything to confirm the changes. In fact, a lot of the information I found was a decade out of date! It wasn’t until I started doing some really thorough searching in Spanish that I finally found the update. 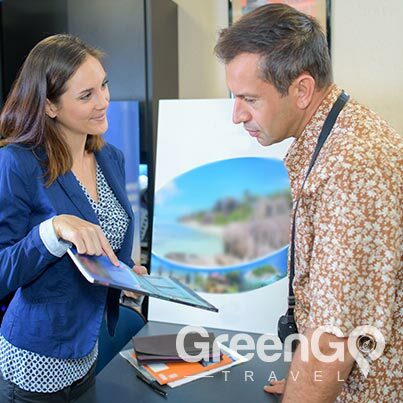 With a good travel agent helping you out, though, you’ll be well equipped to breeze through any controlled area. Instructions for getting across borders, lists of what’s permitted, as well as what to watch out for, it’s all part of the package. Do you have any more questions about insurance for the Galapagos Islands? Do you want to be sure no surprises come up during your trip? Our trip advisor’s are here to help! We have the fastest & most efficient service in the market! Our travel planing services are free, with no payment or commitment involved.